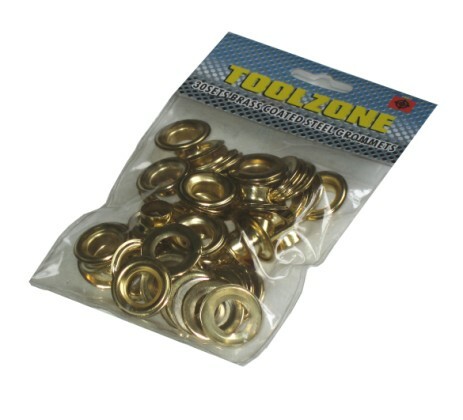 30 sets of brass coated steel grommets from Toolzone Tools. 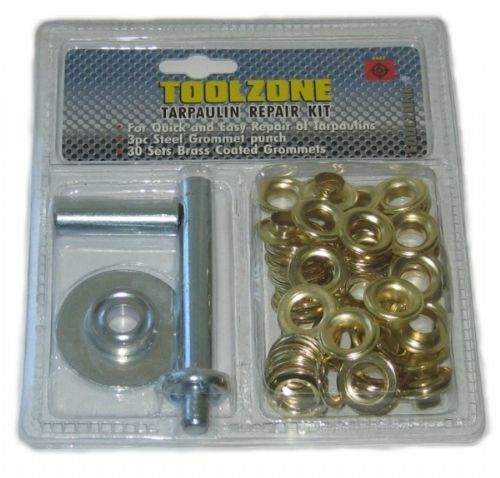 This very handy replacement bag of grommets can be used with the Toolzone Tarpaulin Repair Kit, please see related products below. Together they can save you money by making your own tarpaulin alterations or repairs.